Epic Stuff as the name suggests has uber cool products from your favourite TV shows and movies. Want to explore the amazing range of quirky and utilitarian products they offer? Then read on and keep your wallets ready! 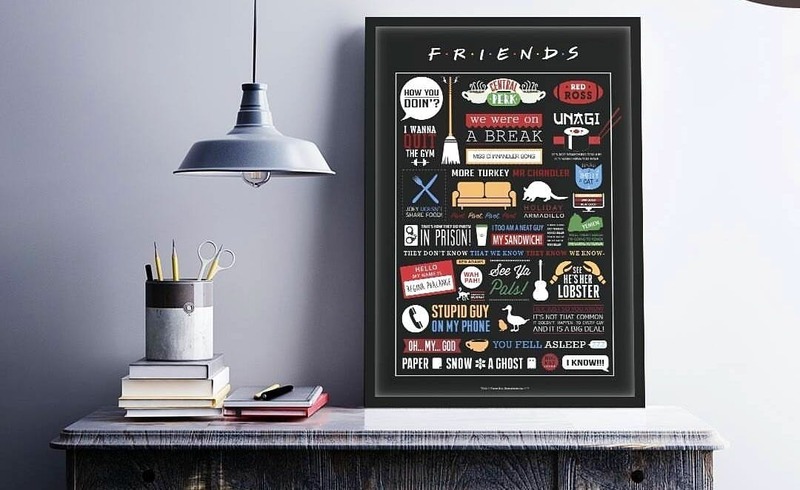 You'll find incredible merchandise on their website which includes- wall clocks, mugs, notebooks, pen drives, posters, fridge magnets, and much more. They have also got a home furnishing section with Hogwarts cushions and doormats. I love their Platform Nine And Three Quarters wall clock from Harry Potter and doormats from Friends. The USB cable from minions is super cute and comes with a loop to attach to your keys. Whether it's work or fun, their products will definitely add spark and a quirky edge to your regular life. Picking gifts for friends is no more a hassle now, just scroll through their website and you'll find the perfect item. And yes, they have free shipping on orders above INR 499.